The Darien chapter of Daughters of the American Revolution on Tuesday announced five awards in this year’s Fifth Grade D.A.R. essay contest. All participants are fifth grade students in the Darien school system. First place winner is Brady Eldridge of Hindley School; second place is Alexis Procopion (Royle); third place is Matthew Li (Hindley); honorable mention winners are Catherine Young (Tokeneke); and Luli Escajadillo (Ox Ridge). The first place essay will be entered into the state competition. Participants from Darien’s Good Wife’s River Chapter of the DAR have won first place at the state level three times. 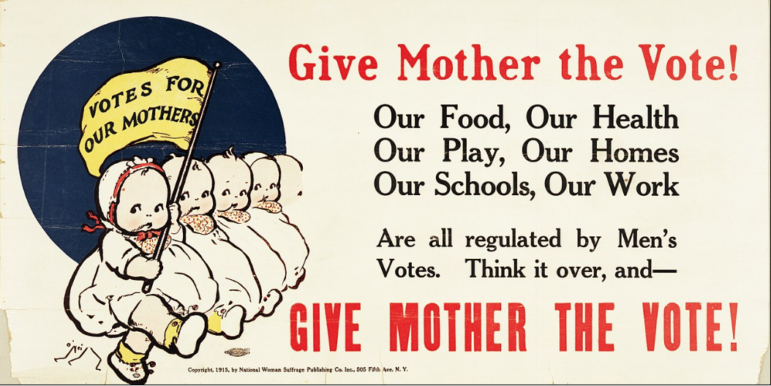 The topic for this year is: “The Women’s Suffrage Campaign.” The 19th Amendment to the U.S. Constitution was approved by the United States Congress on June 4, 1919, and adopted on Aug. 18, 1920. This amendment granted American women the right to vote and hold elective office. Imagine you are living in 1919 while the women’s suffrage campaigns were having an impact on America politically and socially. Discuss the pros and cons of this new amendment that the U.S. Congress has approved. The Darien essay contest winners will receive their DAR award certificates during a reception hosted by the chapter at the Noroton Presbyterian Church Parlor, at 2 p.m. Monday, Feb. 4, (the snow date is Feb. 11). DAR Essay Contest Chairman Sandi MacPherson will present winners with gift certificates donated by Barrett Bookstore owner Sheila Daley, who will be a special guest. Parents, grandparents, administrators, teachers and DAR Chapter members and prospects are invited to attend the award ceremony and reception to hear the winners read their essays. Preceding the award ceremony, DAR Regent, Katherine Love will conduct a brief Chapter meeting at 1 p.m. Membership in the DAR is open to any women who can trace her direct lineage to a male or female Patriot whose last act was to serve the cause of American Independence during the Revolutionary War. For information and applications, contact Registrar Karen K. Polett at 656-0857.